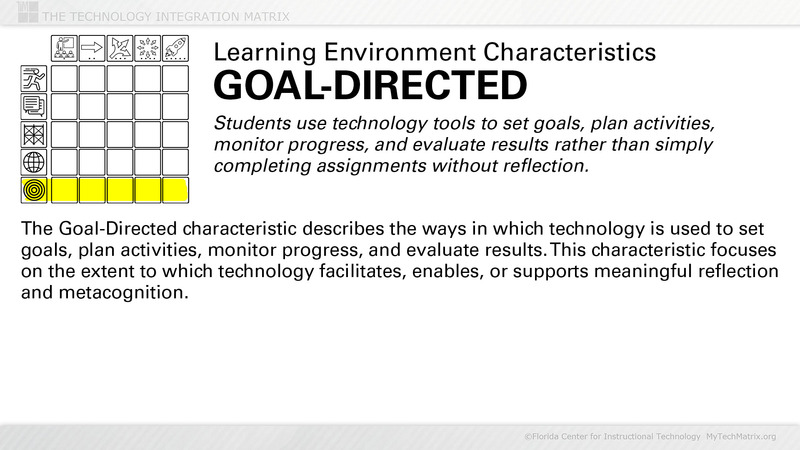 Presentation slide with text describing the Goal-Directed Learning characteristic. Goal-Directed learning is one of the five characteristics of a meaningful learning environment as identified on the Technology Integration Matrix. 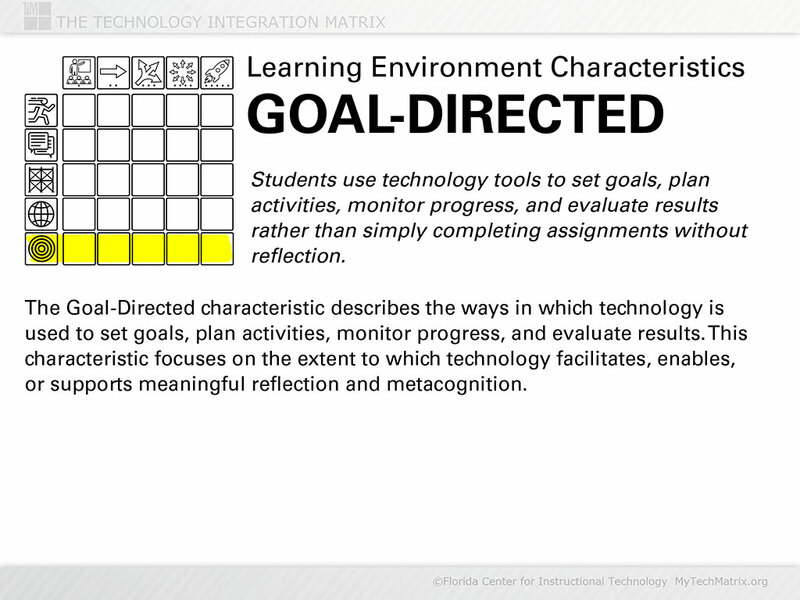 In Goal-Directed learning, students use technology tools to set goals, plan activities, monitor progress, and evaluate results rather than simply completing assignments without reflection.